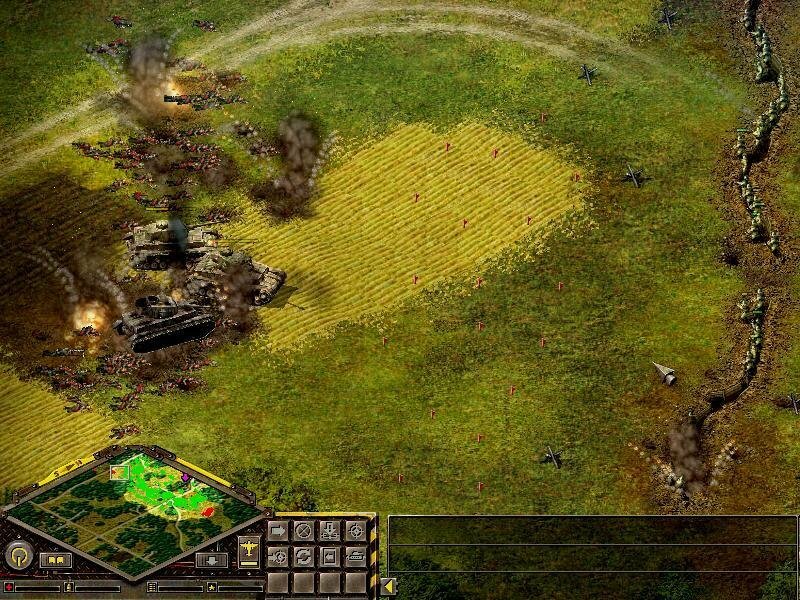 Blitzkrieg heads to the frontlines with the same approach as CDV’s Sudden Strike series. 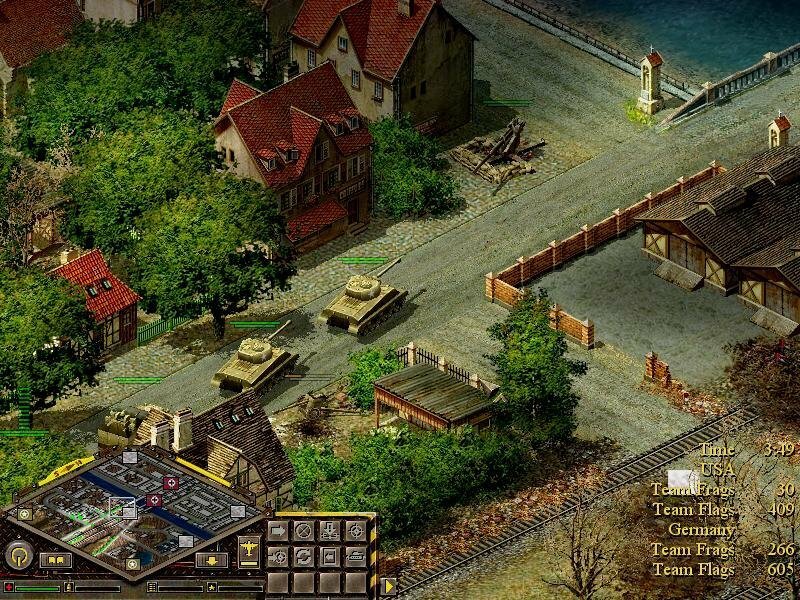 There’s no resource managing or unit creation involved – with a handful of historically accurate armored vehicles, supply trucks and accompanying infantry you head out and attempt to destroy the enemy. 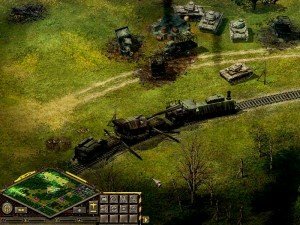 The setting is obviously the Second World War, and one of the more interesting approaches here is that you can fight from a variety of sides on the Western Front, including the belligerent ones. Playing either the German, American or Soviet campaigns (in any order), you partake in WWII from its early stages with the invasion of Poland all the way to the American and Soviet push into the Reich. 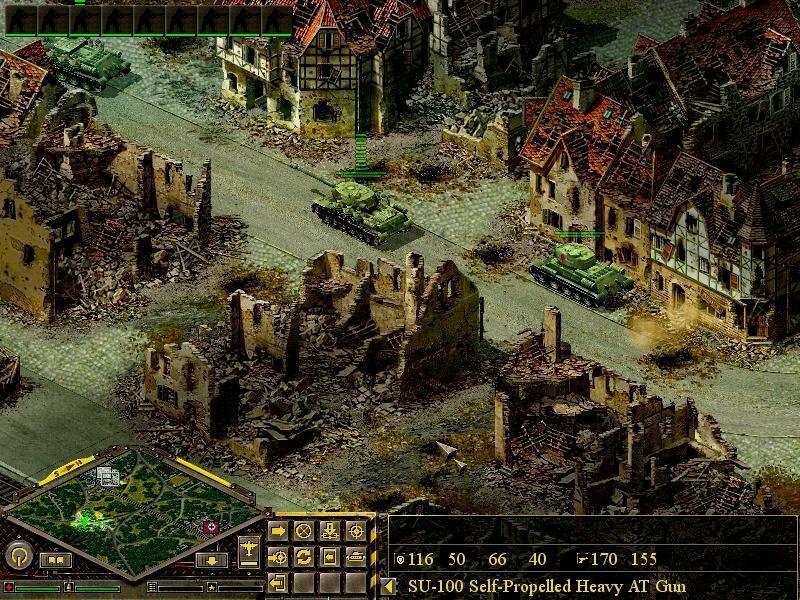 Gameplay is divided into historical and skirmish battles accessible via a campaign map, with skirmishes being necessary pre-requisites for accessing historical battles. 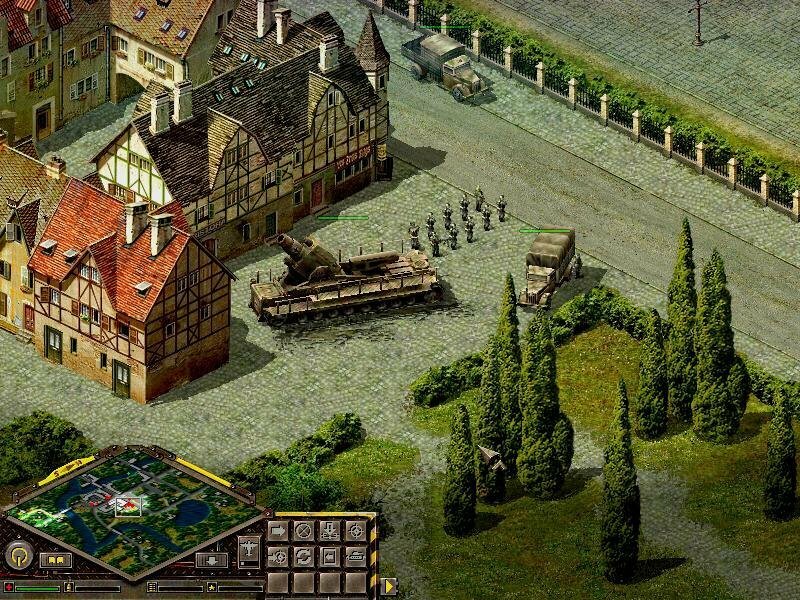 The randomly generated skirmish maps hand you simple, generic tasks, but completing them will reward you with better units and – perhaps just as importantly – more experienced core units. 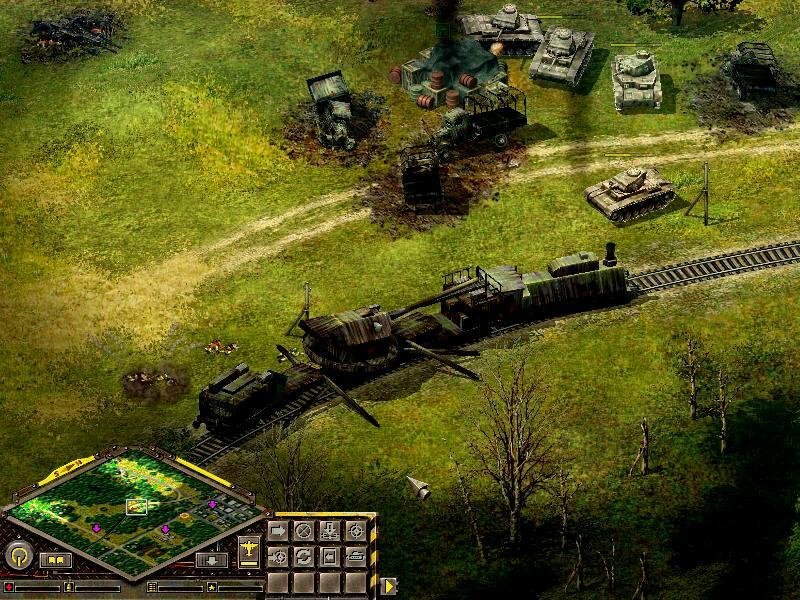 With the game’s experience system you find that it’s more feasible to keep your campaign tanks and guns intact instead of throwing them away in battle, as higher experienced units will fare better on the field and score more kills. 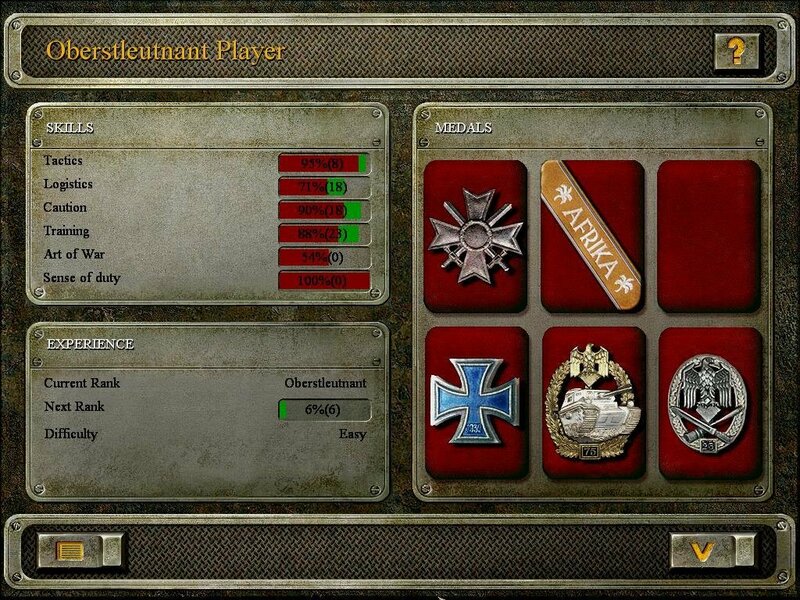 Even more important is that developer Nival balances the units with realistic attributes for different armor and gun calibers, and this results in some very interesting tank battles Don’t expect that trusty M4 Sherman to go head-to-head with a Tiger, because the developers realized that this shouldn’t be possible. 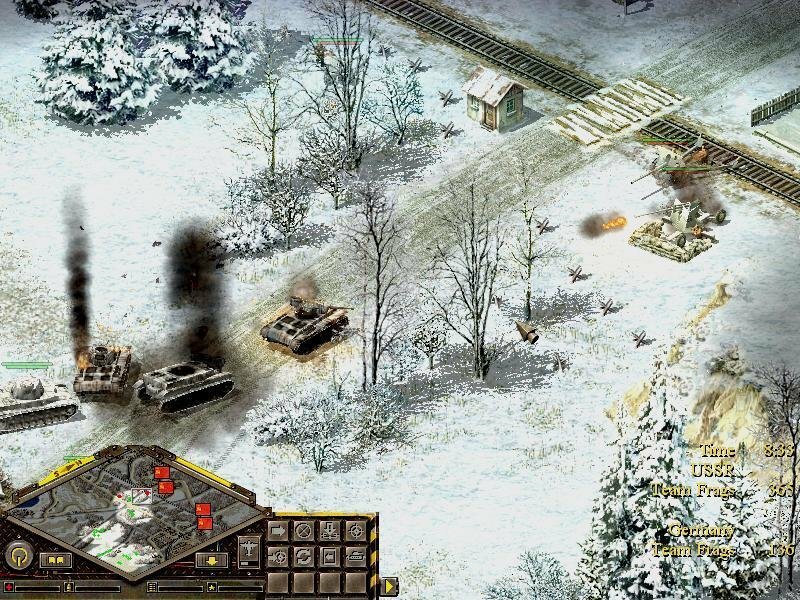 You also won’t see teams of bazooka troops running about or tank rushes that mow down the lowly infantry – a few dozen units can swarm and disable a tank with ease, though on the whole tanks provide far greater firepower on the field than disposable rifle infantry. 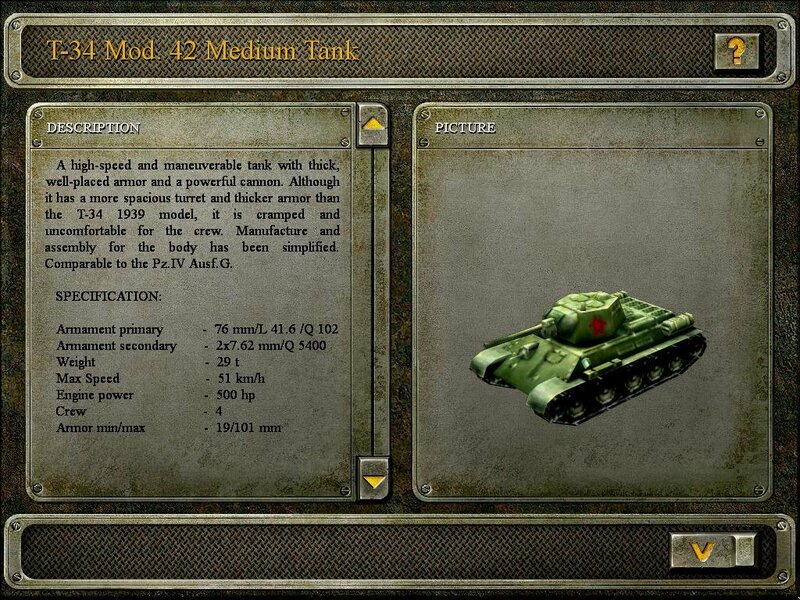 And Blitzkrieg’s sizeable armory is astounding, involving dozens of tanks, guns and planes from all sides, with accurate descriptions and important statistics provided via the useful ingame encyclopedia. It’s almost worth installing the game just to access the wealth of information. Artillery provides yet another dynamic. Long-range guns can fire deep into enemy territory, destroying unarmored targets, ripping infantry divisions apart and softening defenses for a land-based assault. 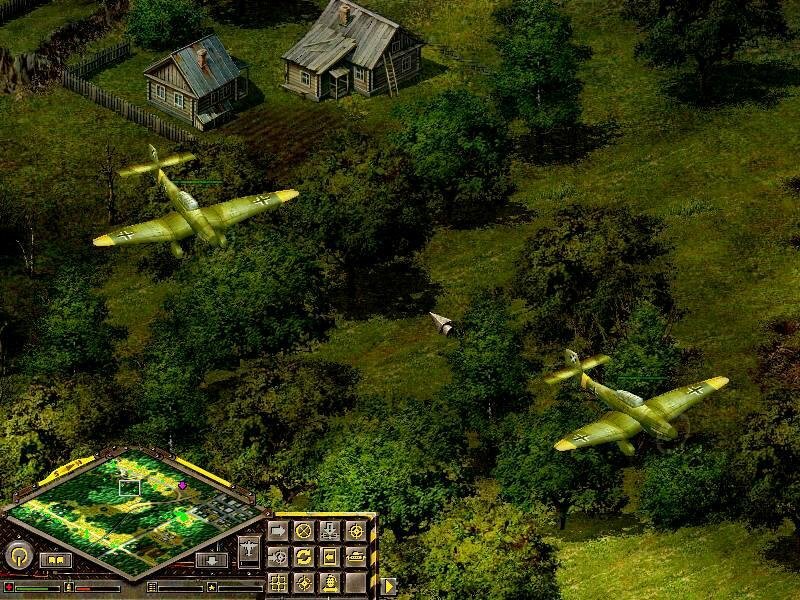 Artillery is mostly a hit and miss deal, but can still be exploited to gain a huge advantage – send in a sniper, one of the game’s special units, and you can use them as a spotter to get a view on enemy defenses. 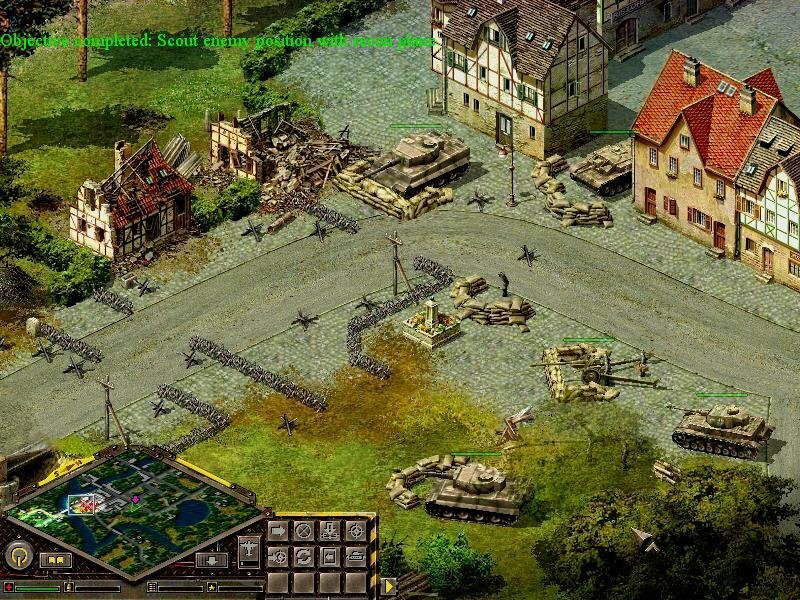 In some instances you receive counter-fire from enemy artillery, and this presents another cool feature of the game. Rather than destroying the enemy guns, why not send in a squad of infantry to kill the crew and commandeer the guns for yourself? Literally any weapon that can be manned is liable to change hands, including machineguns, mortars and stationary AA guns. 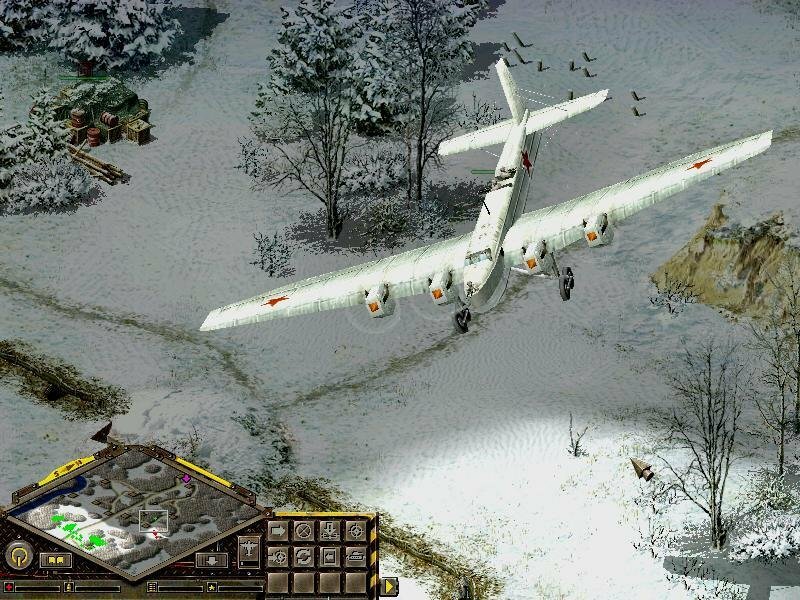 Another nice addition to gameplay was air support. Though you don’t actually control the planes themselves, you are able to call in flight missions under good weather. When properly used, air power proves itself an invaluable asset, coming in the form of recon planes, heavy bombers, dive-bombers, fighters and paratrooper transports. A Soviet armored train put up quite a fight. On the downside, the interface is a bit too simple. You can give your troops a variety of orders but everything is just basic. 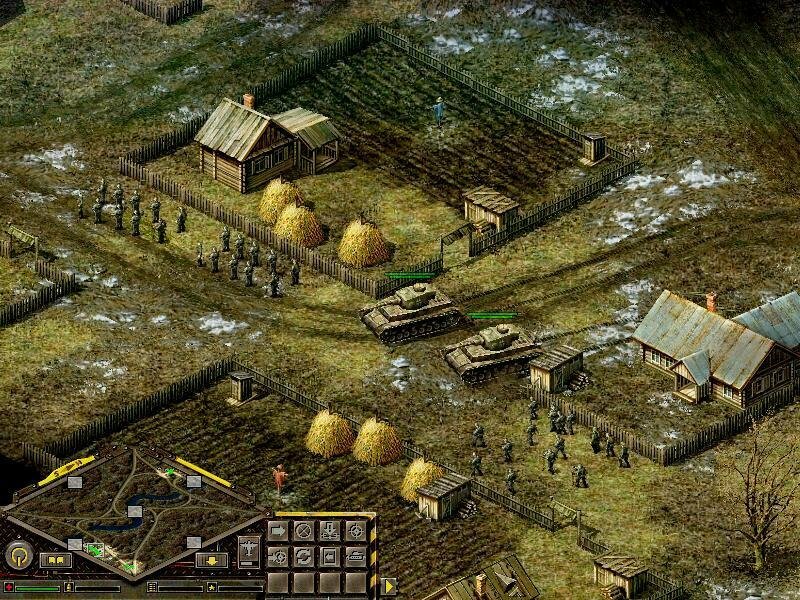 Infantry can crawl, run or march and have a defensive or aggressive posture, but little is done with morale or advanced tactics like flanking and ambush. It handles line of sight and weapon range poorly. you can either see units, or not. As a result you can expect incoming fire without the most basic notion of where to look. 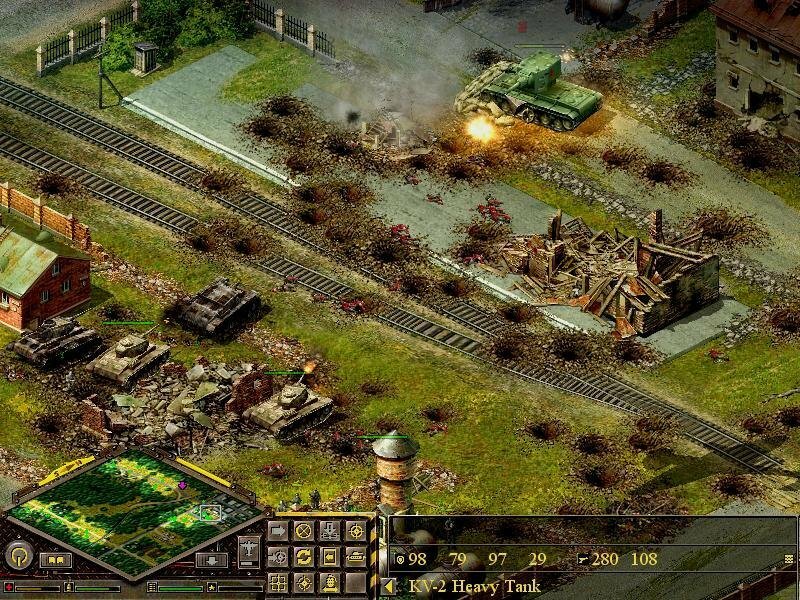 That, coupled with an occasionally atrocious pathfinding, will mean that you’ll get your tanks bogged down and butchered quite a lot, especially in tight city streets. 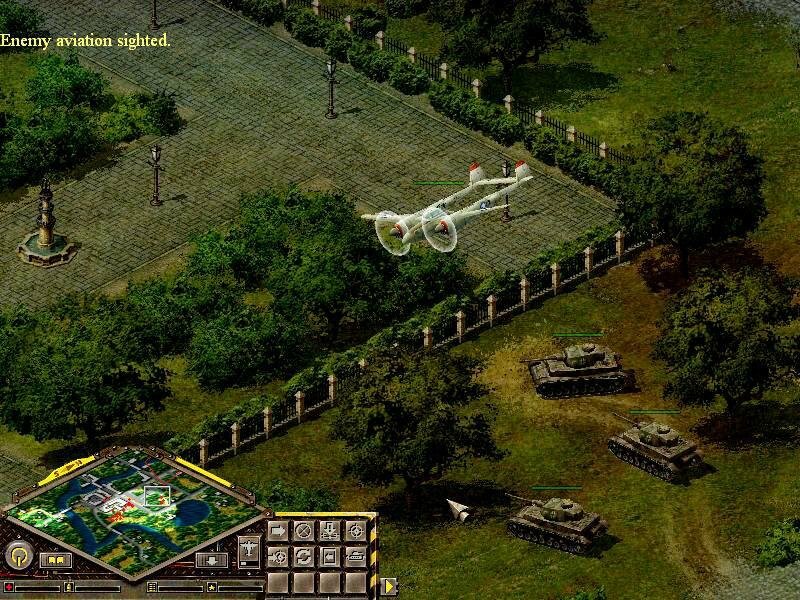 Blitzkrieg is an overall fun real-time wargame that most strategy gamers and especially WWII connoisseurs should fully enjoy. 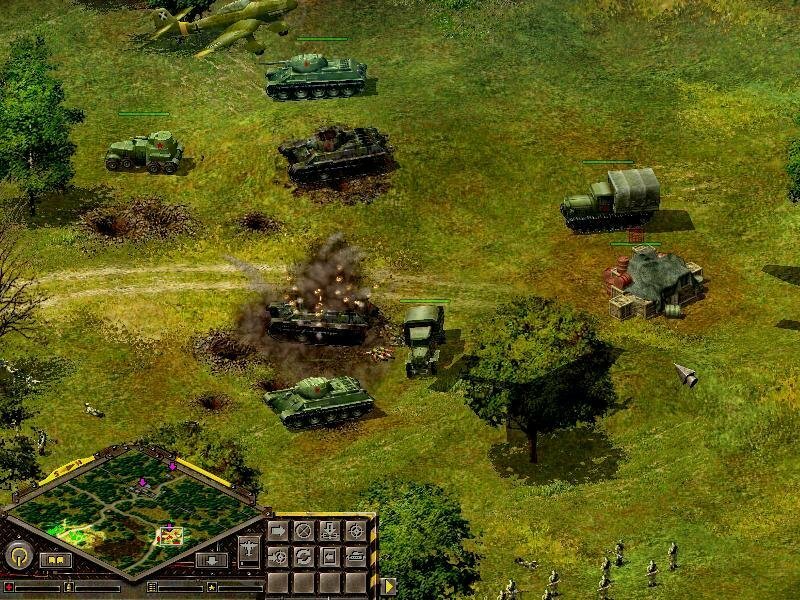 There are some light issues as far as AI, both friendly and that of the enemy, and a somewhat simplified interface, but overall it has enough historical detail and solid combat to keep players entertained. And it doesn’t run, does anyone know what is problem? can you look into this problem? how do u download it on pc? Suggest: Please add Blitzkrieg 2 and its expansions if it has expansions.